It may be that this is a city-building MMO—and server downtime notwithstanding, you don't hear people complaining about an always-on connection in that genre, right? Right. But SimCity isn't really an MMO, because games in that genre can only be played in a world populated by other connected players. 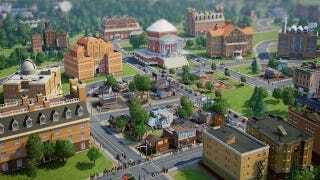 Maxis makes a point of saying you may play SimCity solo in a private game, like Diablo III. Which had an always-on connection. Which everyone hated.